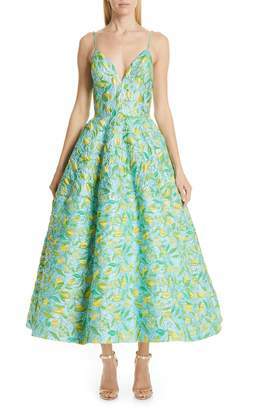 Christian Siriano's gown is crafted from a form fitting stretch chiffon. Embellished like a shattered meteorite with crystals this long sleeve style has a crew neck. Keep styling simple and pair yours with embellished heels for your next event.